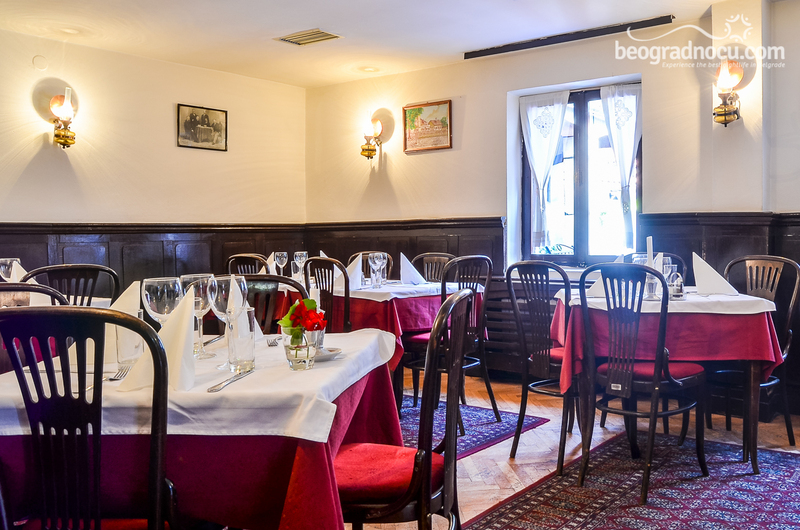 Restaurant Tri Šešira is true jewel among restaurants in Skadarlija and one of the oldest. 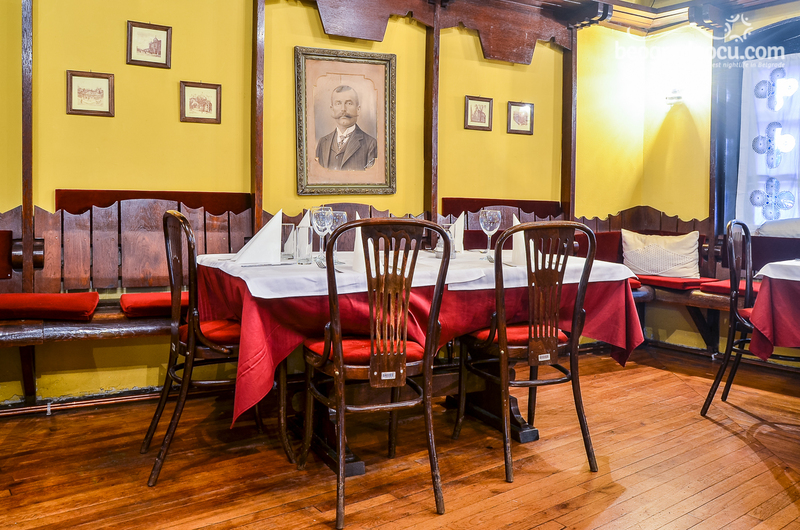 Restaurant Tri Šešira is built in center of Skadarska Street more than 150 years ago. 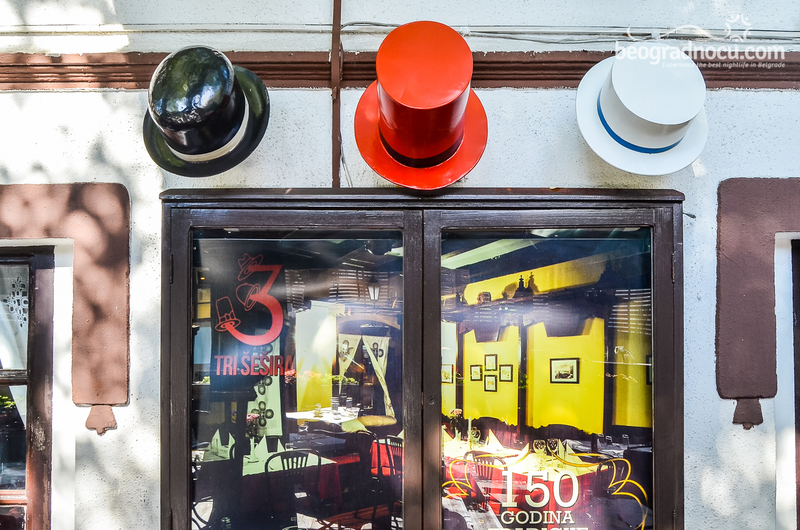 It's opened in 1864, in the house of former workshop, whose trademark was three tin hats. That's how restaurant got name after. At the time, Belgrade's nightlife has been relocated in Skadarlija, especially in restaurant Tri Šešira. 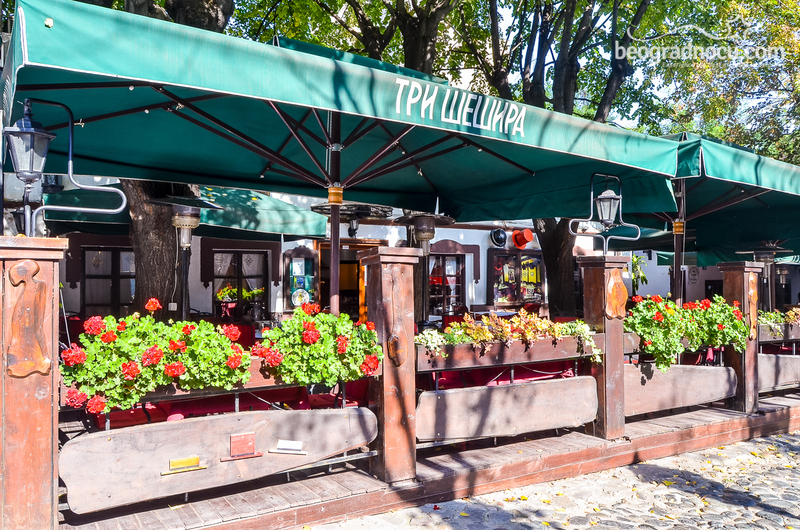 Many Belgrade's artists and writers have spending time here, writing and singing. Those days in restaurant Tri Šešira many conspires has been made, magazines have been issued, song have been written. Through Tri Šešira many famous persons have passed: Đuro Jakšić had lived across restaurant, Branislav Nušič, actor Čiča Ilija Stanojević, Tin Ujević and many others have been regular guests. By its service and quality, this restaurant is known beyond borders of our country. This restaurant had honor to host most eminent guests: king Juan Carlos, George Bush, Pertini, Will Brant and many others. Testimonies of pleasant stay have been saved in guest book. 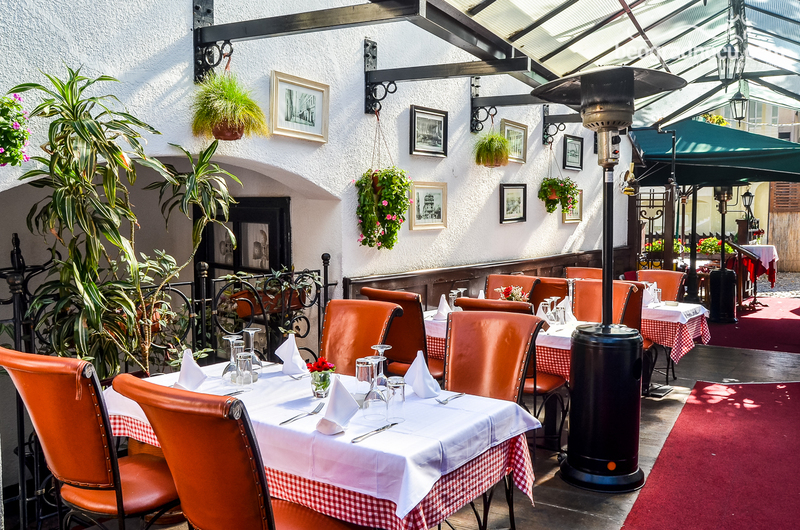 Restaurant Tri Šešira is place of tradition, art, beauty of glow and vice... and how it is called by the honorable citizen of Skadarska Street, Đura Jakšić ''Vine well''. Restaurant Tri Šešira accommodates 184 people and has garden for 80 people. Here you can try national dishes: cold and warm appetizers, soups, as well as traditional specialties from grill. Flamed dishes are special offer in this restaurant. 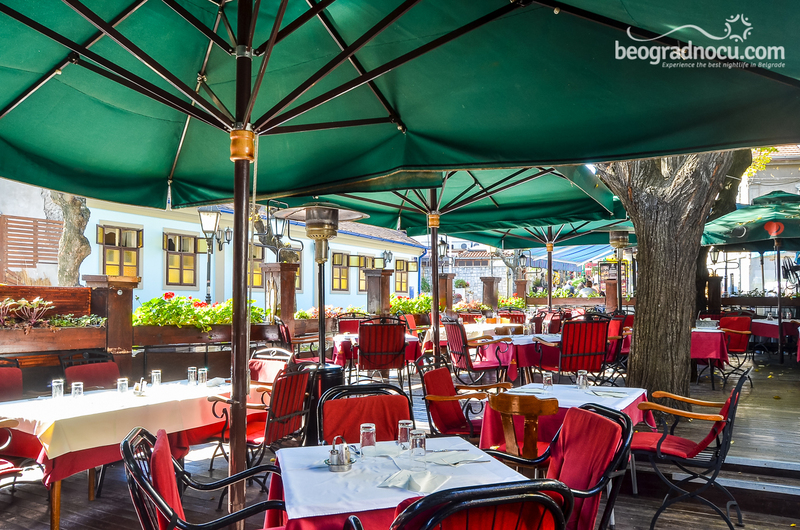 Street garden in Skadarlija Street will give you true experience of this neighborhood. 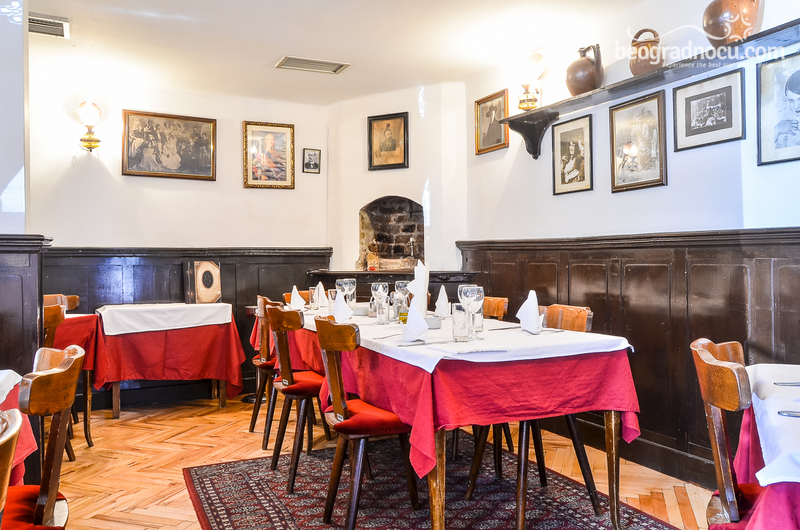 Beside, standard offer of alcoholic and soft drinks, this restaurant has large selection of homemade rakija. Beside excellent dishes, restaurant Tri Šešira is famous by great entertainment, since there is live traditional music every night from 7 pm. Great traditional music is expecting you also every day, except on Monday and Tuesday. 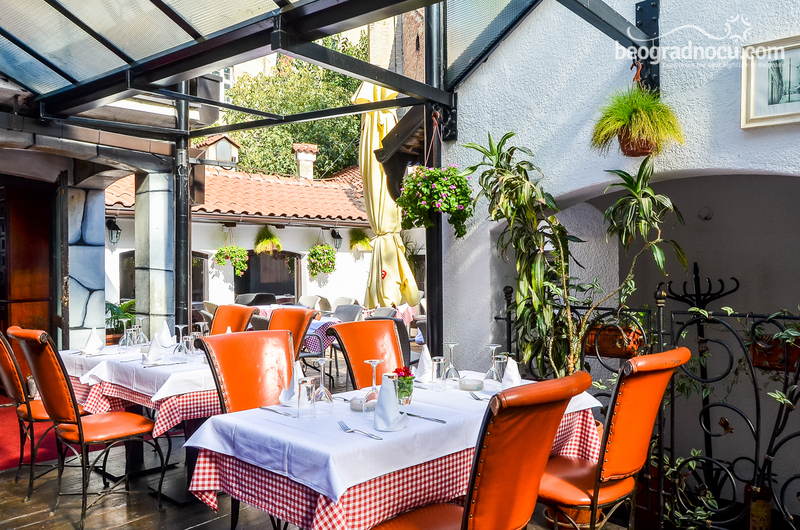 This restaurant is famous by having a ''Sing of quality from Belgrade Chamber''.. 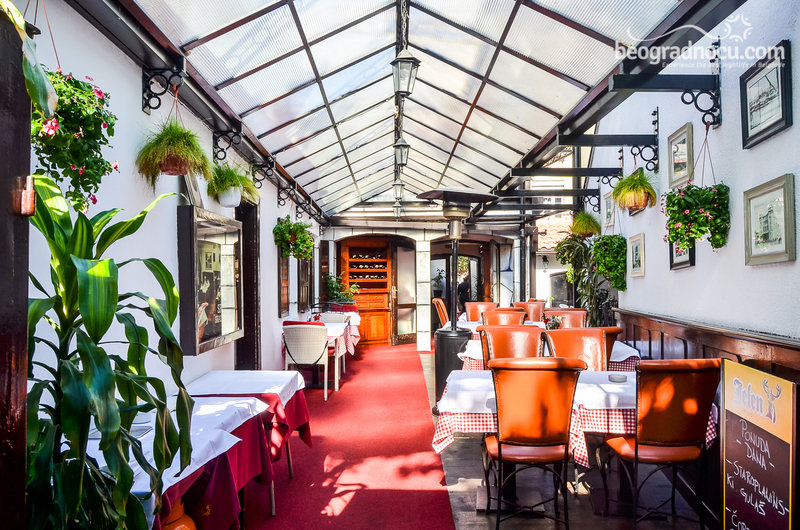 In 2012 has been in top 12 restaurants in Belgrade by Internationale fair magazine FITUR. (International Tourism Trade Fair). The story of Tri Šešira is very simple - they want best and highest quality. They are experienced and true gourmands. And we want the same pleasure for you. In restaurant Tri Šešira you will feel like in home. Fireplace, that is always burning, gives you special feeling of warmth. Restaurant Tri Šešira is place where family gathers, old and new friends, a place where you celebrate life and enjoy it. 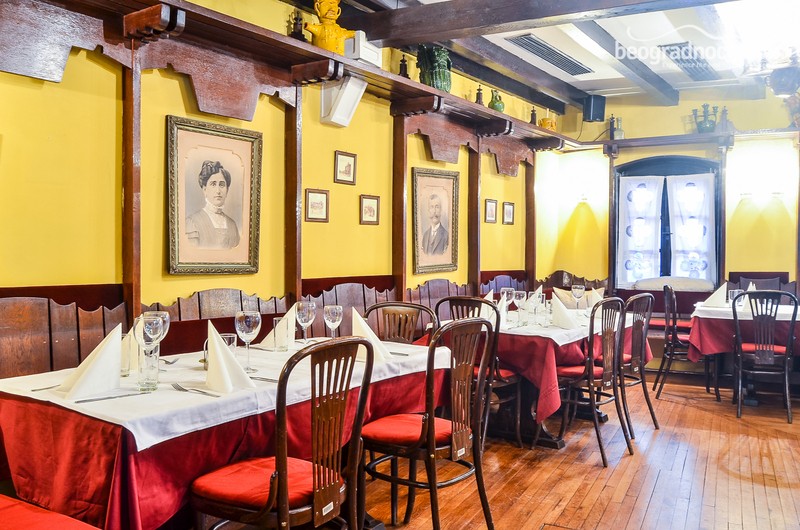 Tradition of Serbia is built into this walls and will awake all your senses.